The bathroom is one of the most highly used rooms in a home, which is why homeowners love getting to remodel and customize it. With the right products and design, you can turn an average, everyday bathroom into a refreshing spa oasis. At ProSource® of Albany, we offer a broad scope of products at low, wholesale prices, enabling you to create a dream bathroom. Whether you’re going for simple or elegant, our bathroom sink selection is vast enough to fit any personal taste. We offer pedestal, shroud, vessel and standard style sinks that come in a variety of colors, shapes and sizes — all from manufacturers we trust. 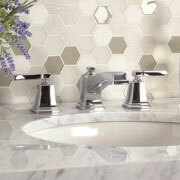 Choosing a sink faucet style can add a subtle sense of flair to a bathroom. Our selection is bound to match any design layout, from contemporary to traditional to minimalist. 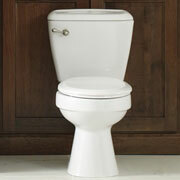 Browse from a multitude of handle and material types, available in different color finishes. Upgrading the tiny, intricate details of a shower can turn it into a lavish area. It also should serve the functional purpose of getting clean. We provide shower products such as shower heads, handles and faucets. 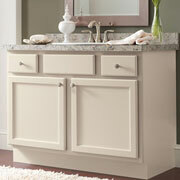 Vanities are perfect for storage in a bathroom, and they’re also an easy way to add a sense of sophistication to the room. Our experts can help find the perfect fit for your project. 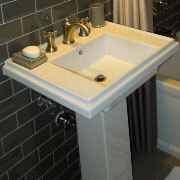 Finding the right tub means finding one that works properly and also looks great. 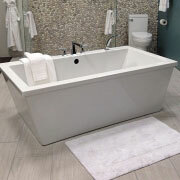 We offer tubs in material such as fiberglass, marble and porcelain, and our team can also find suitable tub faucets as well. Obviously, the toilet plays an important function in a bathroom, meaning you shouldn’t squander the decision of which style or brand to choose. Let our team guide you in finding a throne that makes you feel like royalty.